Elements of the tour included a visit to the Drug Discovery Unit, where work is ongoing to identify potential new treatments for some of the world’s major diseases. Scientists in the DDU developed the potential anti-malarial compound which is currently in advanced tests. 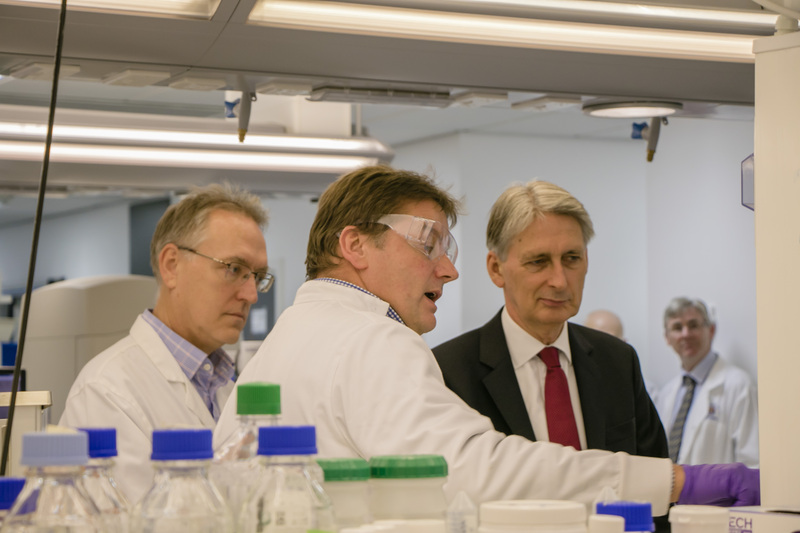 The Chancellor also saw the National Phenotypic Screening Centre, where an interdisciplinary group of scientists and engineers are using innovative, high throughput imaging platforms that can be applied to human, animal, and plant health challenges.